It is basically a short summary of your event page in the search results of Google in nice format with event name, location, date, ticket price etc. General Event Structured Data Markup tool is one of the most useful tools to help your business get started with structured data. This markup tool help enhance Google’s understanding of the content on your website. 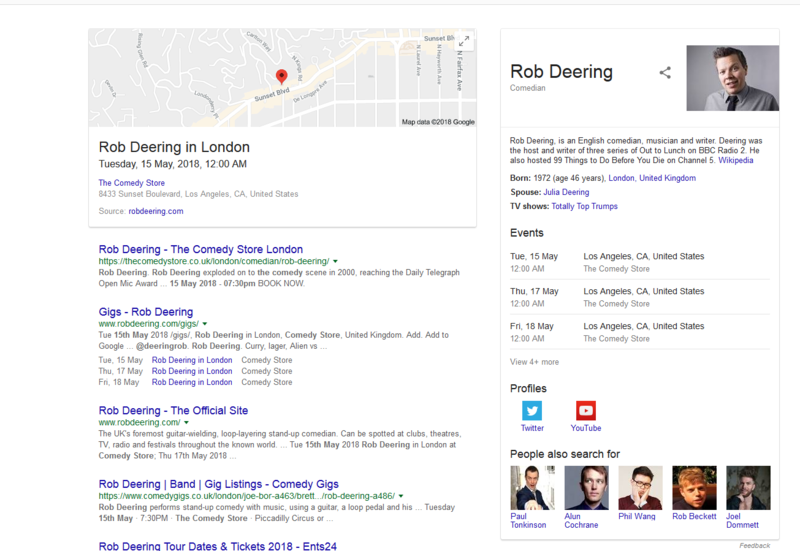 This content is then used not only for your search engine results, but may also be incorporated into Knowledge Graph panels or Google Now cards, increasing your business’s online reach. Use the Event Schema To Better Position Your Event on Google.